The 70mm format is a wide, high resolution film gauge (the image is actually 65mm wide, the extra 5mm is for stereophonic sound tracks), and projects at a 2:20:1 ratio. The format has been around since the beginnings of film, but got a big push in the late 1920s with the “Grandeur” format for the Fox Film Corporation (soon to merge with 20th Century Fox), but the Depression stalled that effort. The “Todd-AO” system followed in the 1950s, with “Around the World in 80 Days” being an example of that 70mm offshoot. Super and Ultra Panavision 70 soon followed, and it became the standard to shoot the wider screen format. 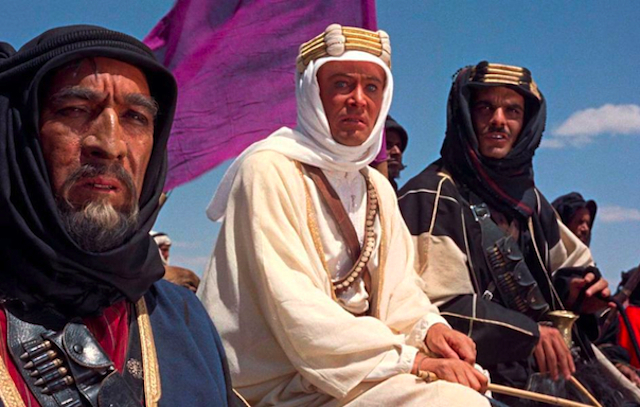 During the two week festival, the historic Music Box Theater will be screening, in proper ratio, a number of older (“West Side Story,” “Lawrence of Arabia”) and more contemporary (“Indiana Jones and the Last Crusade,” “The Remains of the Day”) 70mm films. Click the link above for a complete schedule. The 2018 70mm Film Festival will take place at the Music Box Theatre, 3733 North Southport, Chicago, from September 14th through the 27th. For general information about the Music Box Theatre, click here.